ABAG is a membership organization of foundations, donor advised funds, and corporate giving programs, that work to maximize the impact of philanthropic giving on community life through a growing network of diverse, informed and effective grantmakers. A nonprofit organization focused on the development of comparative data to enable higher-performing foundations. A membership organization of more than 2,000 grantmaking foundations and giving programs worldwide. It provides leadership expertise, legal services and networking opportunities, among other services, to its members and to the general public. The newspaper of the nonprofit world. It is the No. 1 news source, in print and online, for charity leaders, fund raisers, grant makers, and other people involved in the philanthropic enterprise. Maintains the most comprehensive database on U.S. grantmakers and their grants—a robust, accessible knowledge bank for the sector. It also operates research, education, and training programs designed to advance philanthropy at every level. Web-based subscription service that provides access to over 100,000 US foundations and corporate donors plus grants, and key decision makers. Search by grantmaker, geographical location, grant recipient, or interest area. A coalition of grantmakers committed to building strong and effective nonprofit organizations. GEO’s mission is to maximize philanthropy’s impact by advancing the effectiveness of grantmakers and their grantees. The leadership forum for charities, foundations, and corporate giving programs committed to advancing the common good in America and around the world. An independent nonprofit working to strengthen the nonprofit sector and improve its ability to represent and serve individuals politically, economically, or socially disadvantaged, by promoting greater philanthropic openness and accountability. A multiyear project intended to increase the amount and effectiveness of resources aimed at combating institutional and structural racism in communities through capacity building, education, and convening of grantmakers and grantseekers. A national membership and philanthropic advocacy organization dedicated to advancing philanthropy and Asian American/Pacific Islander (AAPI) communities. 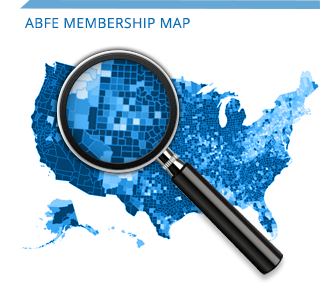 The mission of ABFE is to promote effective and responsive philanthropy in Black communities. The Association of Small Foundations (ASF) is a membership organization of 3,000 foundations with few or no staff. We provide our members with peer learning opportunities, targeted resources, and a collective voice in and beyond the philanthropic community. A grantmakers’ affinity group whose mission is to promote awareness, support and inclusion of people with disability issues in grantmaking programs and organizations. The only U.S.-based organization comprised of and for private philanthropic institutions concerned about, engaged in or potentially active in the fight against HIV/AIDS. Funders for LGBTQ Issues seeks to mobilize philanthropic resources that enhance the well-being of lesbian, gay, bisexual, transgender and queer communities, promote equity and advance racial, economic and gender justice. A network of grantmakers who address issues of population, reproductive health and reproductive rights, both domestically and internationally. Seeks to move the philanthropic field to advance the contributions and address the needs of the world’s growing and increasingly diverse immigrant and refugee populations. Serves as a point of contact for grantmakers seeking collegial and collaborative relationships with other funders concerned with children, youth, and families. A transnational network of grantmakers committed to strengthening Latino communities across the Americas. An association of grantmakers devoted to supporting efforts to achieve the rights enshrined in the Universal Declaration of Human Rights and the treaties and laws it has generated so that all people may enjoy a truly and fully human existence. A nationwide coalition of affinity groups that engages the field of philanthropy to reach its full potential through practices that support diversity, inclusiveness, and accountability to communities and the principles of social justice. An organization of individuals involved in funding social and economic justice. Seeks to engage Native and non-Native peoples in understanding and advancing the role of philanthropy through practices that support Native traditional values for current and future generations. Leading philanthropy to leverage the power of women and girls in creating a just and peaceful world. An international organization with over 100 member funds (and 20 associate members) that are committed to improving the status of women and girls locally, nationally and globally.